Is Your School Computer Lab Ready for PARCC? The Partnership for Assessment of Readiness for College and Careers (PARCC) consists of a group of 14 states and the District of Columbia working to establish a set of high quality, computer-based assessments in K-12 subjects. The PARCC assessments will be ready for administration during the 2014-2015 school year. Other states are either considering joining PARCC or are developing their own computer-based testing initiatives. While this shift in student assessment requires fewer physical resources such as printed testing booklets and writing instruments, schools must prepare to be equipped with the technology and computer furniture requirements necessary for computer-based testing. PARCC requires that each school be equipped to synchronously accommodate testing a full grade cohort. While districts are struggling to find room in their budgets to purchase PARCC-compliant computing devices, many neglect to consider additional furniture necessary to store these devices and to a maintain an uncompromised testing environment during the assessments. Schools that are investing new in laptops, tablets, or other mobile devices should also purchase storage and charging carts to protect and maintain their expensive investments. Tech carts come in a variety of storage capacities and with multiple charging options. The most popular alternate power between rows of devices, reducing the electrical load of the cart while still providing a responsive charging to the devices. All come with durable locking mechanisms and are often outfitted with casters allowing the units to be mobile between classrooms. Laptop and tablet storage carts are essential for a school who is investing in a large number of devices to prepare for upcoming PARCC assessments. Whether mobile or desktop, students will need a location free of distraction or curious eyes while taking their computer-based assessment tests. Study carrels that are computer ready featuring grommets and wire management trays will help welcome the arrival of PARCC. The privacy walls on a study carrel offer just the right amount of concealment for test taking, but still allow for visual contact during lectures for both the student and the teacher. Preparing for this shift may appear daunting – especially from a financial standpoint – but with careful planning and a clear vision of what is needed, PARCC assessments will become a seamlessly integrated part of school life. 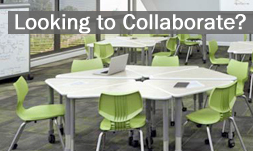 For assistance in choosing computer lab furniture to meet this initiative, contact us. With more than 17 years in the school furniture industry, we are committed to being your school’s top furniture resource.